ST. THOMAS, USVI (CBS USVI) — The Virgin Islands government is coming after 30 grocery stores in the territory for selling expired foods. That’s according to the Department of Licensing and Consumer Affairs, who have citing major supermarkets and small convenience stores for selling products after their expiration date. 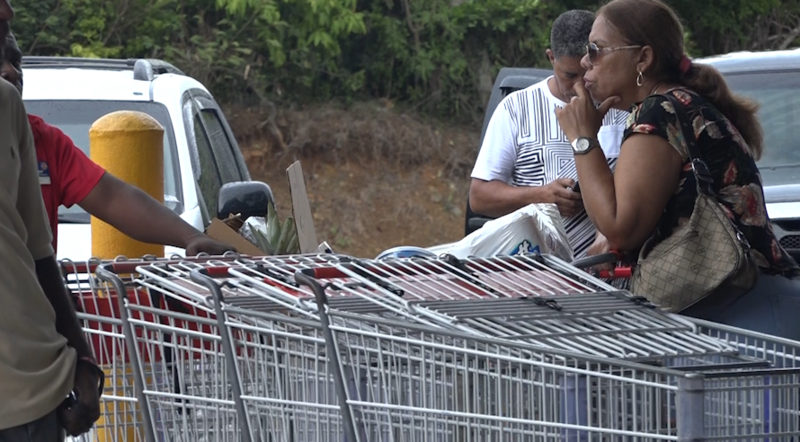 USVI News Correspondent Kellie Meyer stopped by four different grocery stores here in St. Thomas to find out their thoughts on the DLCA citation report. Some hadn’t heard about it, others had, but pointed me in the direction of the store ownership to speak with. But people are still coming in and out, buying their groceries, as normal. Those citations were issued for the 2016-2017 years. According to this story first reported in the St. Thomas Source, the DLCA is making the list of 30 stores public because they say the businesses continue to do this. Some of the top offenders they say are the Pine Peace Mini Mart on St. John with 485 expired goods and Food Center Supermarket in St. Thomas with 250 goods expired. On St. Croix, Kmart West had 304 items.